Giving your smile a new look comes with many options. Choosing the most beneficial cosmetic dentistry procedure for you can seem difficult at first. However, thanks to their versatility, dental veneers can help patients who wish to completely overhaul their smile or simply repair a chipped tooth. Find out more about dental veneers with Dr. Andrew Yoon at Cape Vista Dental in Orange City, FL. What can I expect during the procedure for veneers? Dentists usually complete the veneer process in two separate appointments. The dental laboratory who creates your veneers will require about two weeks between your first and second appointments. Your first appointment requires your dentist to prepare your teeth to receive the crowns, then take an impression of your mouth to serve as a guide for the design of your veneers. Your dentist sends the impression to the laboratory, where a technician designs and creates your veneers. Then, your dentist receives the final restorations back at their office after about two weeks. Your second appointment, scheduled after your dentist receives your veneers, will consist of fitting, sizing, and placing the veneers permanently onto the teeth. 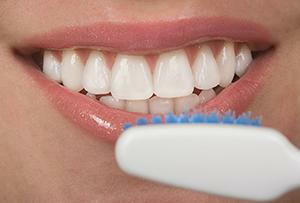 Whether you have veneers or not, you should adhere to a strong at-home oral care routine. This should consist of brushing for at least two minutes twice daily and flossing between each tooth at least once. Patients should also see their dentist for regular dental examinations and cleanings at least every six months to ensure their teeth remain healthy and clean. For more information on dental veneers, please contact Dr. Yoon at Cape Vista Dental in Orange City, FL. Call (386) 774-0125 to schedule your appointment with Dr. Yoon today!